We spent our second week in Virginia at Lakehaven, my parent’s house on the lake. My Great-Grandfather bought land on the lake long ago and now many of his children and grandchildren have houses there. Being used to city life and strangers for neighbors, it is quite special to be related to just about everyone on the street! Some of the properties have been sold out of the family, but due to the close-knit nature of the community everyone feels like part of the family. One neighbor brought over 3 dozen eggs from his backyard chickens when he realized my family was spending the week with Mom and Dad! 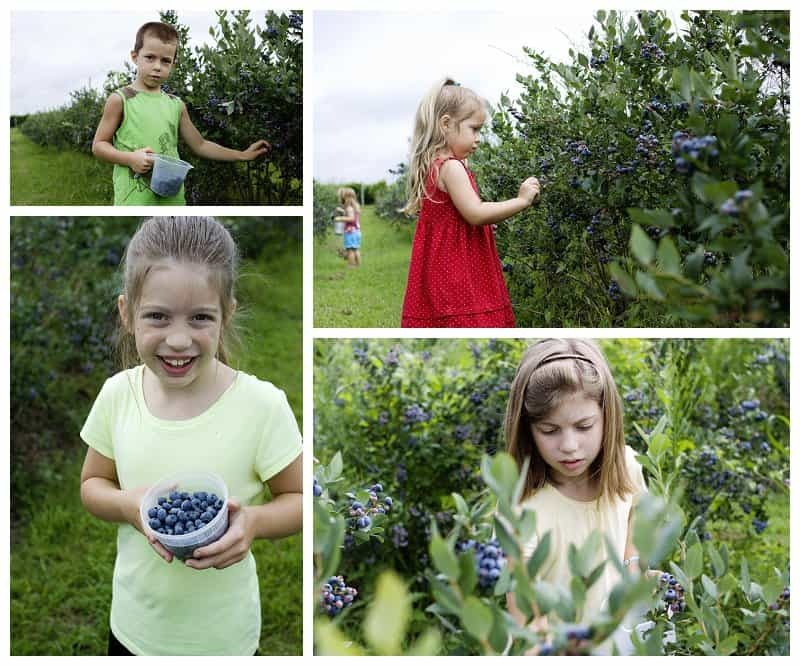 One morning the kids and I went to a nearby blueberry farm with Mom and my Grandma. 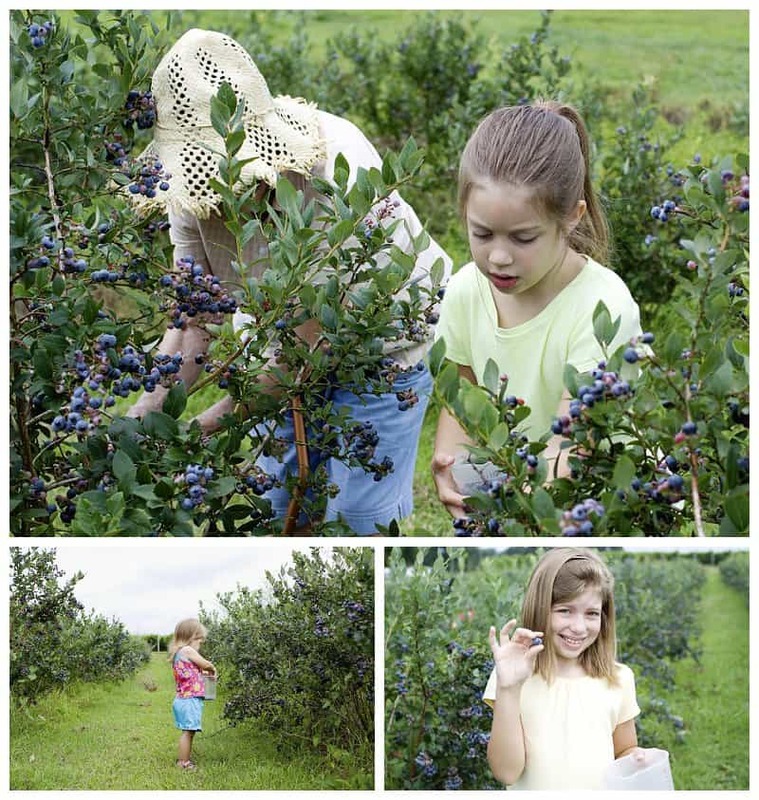 With so many pickers, we had half a gallon of berries in about 15 minutes! Emily caught on quickly and only picked the dark ripe berries. 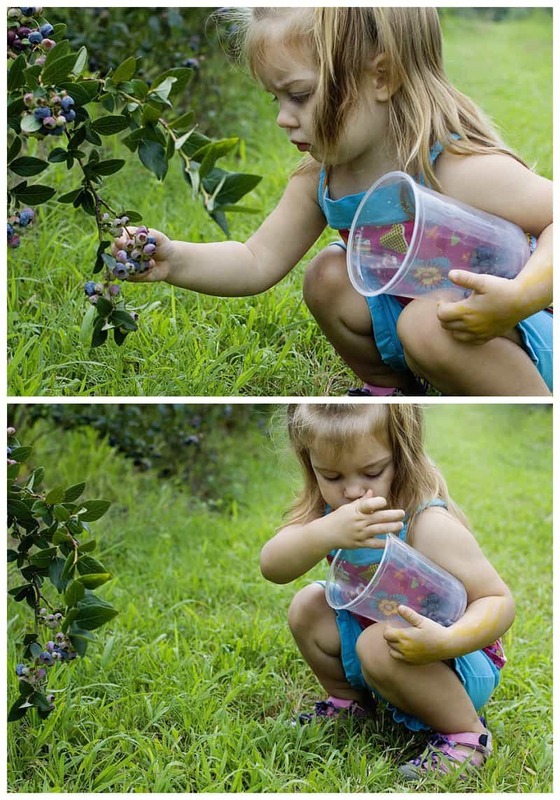 Unfortunately, she would then dump the berries on the ground and start over when she felt she had a sufficient amount picked. I picked more berries off the ground than the bushes, thanks to her! Of course, the real fun is the lake! We put a baby pool on the dock for the little ones, while the big kids swim, jump and float in the lake. Emily prefers spending her time playing in a 5 gallon bucket full of water rather than the pool! 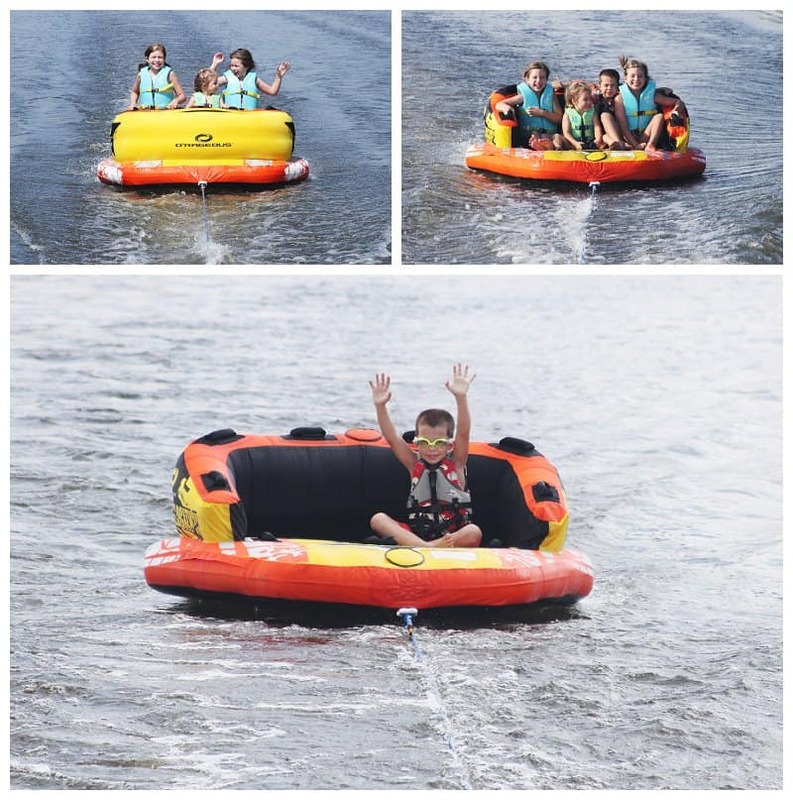 It wouldn’t be the lake if we didn’t go boating and tubing. Emily and Peyton think the best thing about boat rides are the snacks they are sure to find in the cooler- they take after their Momma! I grew up spending time on this same lake and my favorite memories are of the cooler Grandma packed before we went out on the pontoon boat. She filled it with fruit flavored store brand soda, bags and bags of chips, Vienna sausages, and watermelon. Grandma was always ready for an adventure with the grandkids. Sometimes, we’d get ourselves stranded out on the lake with a boat we couldn’t restart after stopping for a swim in the middle of the lake. But that was never a problem, we’d just swim some more and enjoy our snacks until we figured it out, an Uncle came to rescue us, or we waved down a kind passerby to help us out. 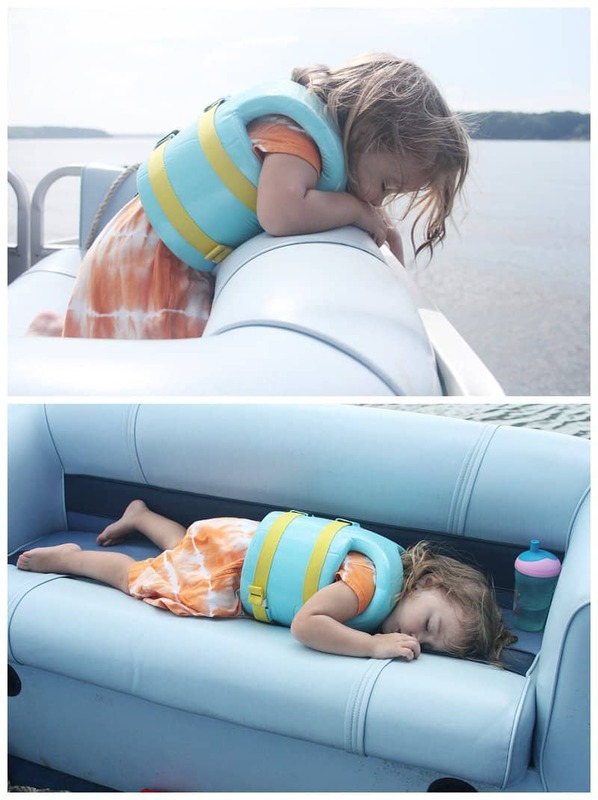 Two afternoons in a row Emily fell fast asleep hanging over the edge of the boat watching the waves. She didn’t even flinch when I laid her down on the seat! This year my birthday fell during our lake trip. Mom made my favorite dirt cake and we spent the day on the water. Thankfully, by then Rob was able to join us for the last few days of our trip. 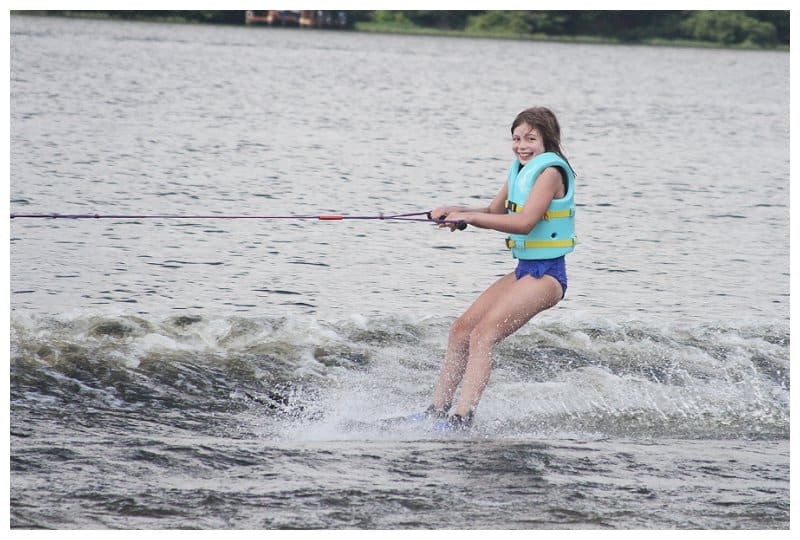 Miriam wanted to learn to ski. We told her she could try if she promised not to be upset if she failed, since she was likely still too young and small for skiing. With both Rob and Dad available to drive, we borrowed my Uncle’s boat and I was able to take photos from the pontoon while Miriam learned to ski behind the speed boat! Typical Miriam, popped right up on the skis on her second attempt!